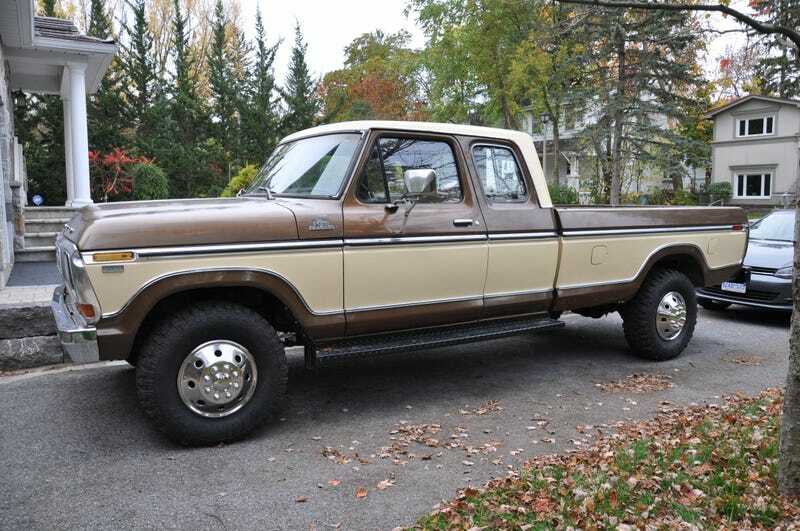 His new toy is a gigantic 1979 Ford F-250 extended cab longbed with a 400 cid V8, 4-speed manual, 4WD and a two-speed transfer case. This thing is BURLY. And check out those seats! I think he paid about $6k for it. These trucks are so far removed from today’s Lariats it’s just crazy.